Become an accredited Yoga Massage practitioner! Join Susie Rad, owner of My Health Massage since 2001 for her Yoga Massage Practitioner Training. Great for yoga practitioners, teachers, masseuses, healers and more! Learn as a healing tool for your students, clients or just to share with loved ones. The Yoga Massage we have developed and teach at My Health uses a fusion of Thai and Hawaiian bodywork with Western massage techniques. The combination of these techniques creates a very profound and healing experience for both giver and receiver. The powerful healing system of Yoga Massage is very holistic and therapeutic. It uses a combination of acupressure, asana, stretching, joint mobilisation, massage, meridian therapy, breathwork and mantras (affirmations). AAMT (Austalian Association of Massage Therapists) recognised for 100 credit points. 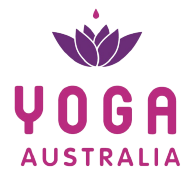 Yoga Australia recognised for 100 credit points. Yoga Alliance recognised for 100 credit points.